If you’ve ever stood in a large gym facing the plethora of equipment and options at your disposal, chances are, you’re not alone. The same thing can happen in a small gym. 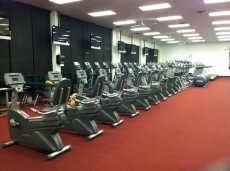 Gyms are built with different types of equipment to accommodate a wide range of fitness goals. Free weights, weighted machines, medicine balls, therapeutic resistance bands, treadmills, recumbent bicycles, ellipticals, pull-up bars, and balance disks are just some examples of the type of equipment you may see in a gym for general fitness. Even more specifically, you could be faced with the challenge of choosing which piece of equipment to work on for your cardiorespiratory training. 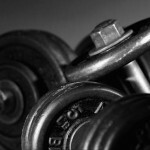 Three main pieces of fitness equipment are common and recommended for training your cardiovascular system. 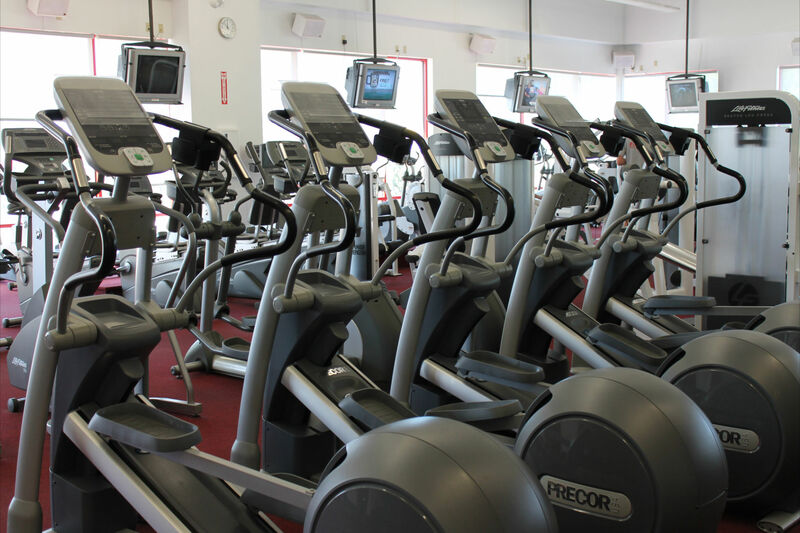 Bicycles, treadmills, and ellipticals are the best options for achieving your cardio goals. All three can get your heart rate up, and all three can make you sweat, but there is more to these equipment options than just a good workout. 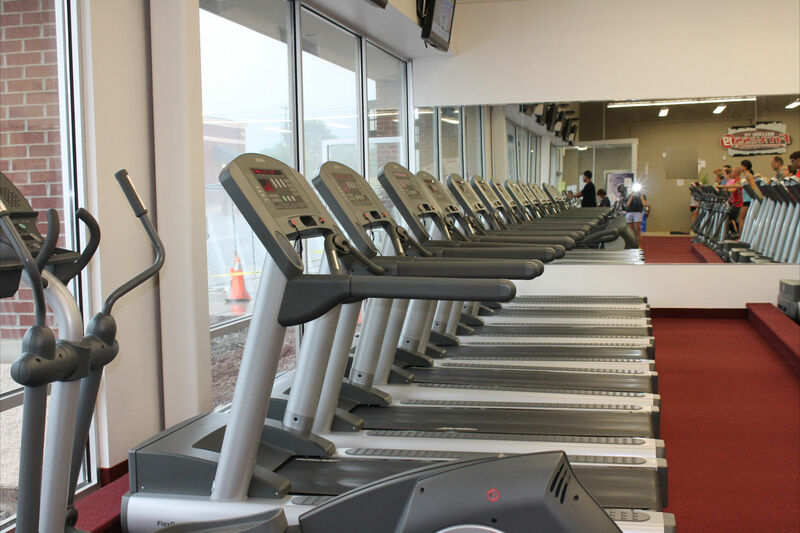 To know the full benefit of treadmills, bicycles, and ellipticals, it helps to compare them. We’re not talking about comparing brands, we’re talking about comparing what each can do for your specific fitness goals and what muscle group each piece of equipment can help target during workout sessions. Bicycles, in the fitness world, are either stationary or recumbent. A stationary bike is ridden like a street or mountain bike with one main difference: it doesn’t go anywhere. The wheels are turning, but they are not on the ground nor detached, so the bike stays in place. A recumbent bicycle is common in physical therapy clinics and designed to be ridden lying almost flat on one’s back or sitting up with the legs stretched out in front. Recumbent bicycles are also found in regular gyms. These bikes take a lot of stress off the legs. You will use more hip flexor muscles to pedal, and using these bikes is a great way to warm up. Stationary bikes, because of how they are situated, will work the quadriceps a little more than a recumbent, due to the upright positioning. When it comes to comparing bicycles to treadmills and ellipticals, the first question to always ask is, “What are my fitness goals?” Bicycles are wonderful for warming up, and they can absolutely be used to train, burn calories, and get in shape. Again, it depends on what your goals may be. If you are training for a bicycle race, train on a bicycle. That’s pretty cut and dry. If you want to lose weight, riding a bike is great, but you will need to ride it a lot longer than you could spend on a treadmill or elliptical. The first difference and reason for this is that the bike integrates all lower body motion. The upper body is relatively still, resulting in less calories burned. You can also ride a mile on a bike much faster than walking, running, or gliding on an elliptical. For this reason, you may need to ride 10 miles to reach your target heart rate or burn the same amount of calories you would expend on a treadmill in which you walk or run 5 miles. This is a rough estimate and solely based upon how fast your speed was during your session. Some bicycles have options for setting up certain types of training that will increase the resistance at various points in the workout, as if you were going uphill. 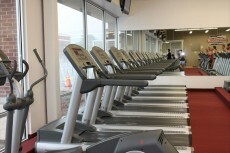 Treadmills and ellipticals have the same options, so there is nothing gained from training on a bike when compared to a treadmill or elliptical. 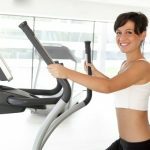 Treadmills and ellipticals use much more upper body motion than bicycles, and some ellipticals have arms that move back and forth for an extra upper body workout. 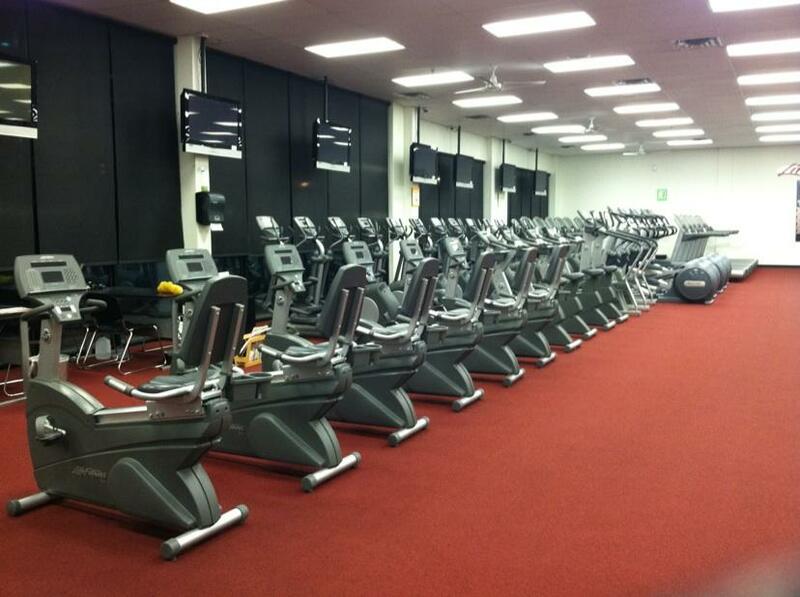 You will find yourself expending more energy and burning more calories in less time on these machines. Both are considered low impact machines, with ellipticals being better suited for any type of exercise or recovery routine that needs less strain on joints. Your feet and legs are stable as they glide back and forth, and for this reason, there is tremendous benefit for your joints on an elliptical. There is no pounding on the ground as during a walk or run. Treadmills have they’re benefits, too. The belt on a treadmill is similar to walking on a natural grass surface and definitely softer than walking on concrete or asphalt. Your joints will be bearing the weight of your body, but a treadmill gives just enough to absorb some of the shock. 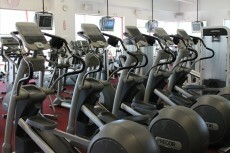 Treadmills, bikes, and ellipticals are all suitable choices for attaining your fitness goals. Taylor your workouts based on your goals, and don’t be afraid to train on all three, for there are benefits to each. Can Exercise Provide Relief For Arthritis?